Patients looking for a permanent solution to hair loss know that it’s a very personal decision. 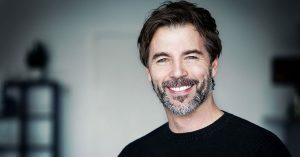 You want to make certain that you feel comfortable undergoing a hair transplant and there’s a lot that goes into making patients feel at ease. You want comfortable surroundings and a relaxed atmosphere. It’s also important that your procedure be minimally invasive and as pain free as possible. And it’s important that your hair restoration center not be difficult to get to. At RHRLI, we know how critical comfort and convenience is. It’s why we offer the most advanced permanent hair loss solution you can find, and we make it convenient to our Long Island neighbors. That permanent solution is called the ARTAS® System. It uses state of the art robotic technology to transplant hair follicles and we’re the only hair loss treatment center on Long Island that has ARTAS®. That means you won’t have to travel into Manhattan or even further to receive this revolutionary treatment. So if you live in Nassau, Suffolk, Brooklyn or Queens, RHRLI is close by. We want to tell you why we make hair restoration convenient. From North Shore to South Shore, and from New York City’s two eastern boroughs to the North and South Forks, Long Island is beautiful, diverse and historic. RHRLI is centrally located at 366 North Broadway in Jericho. No matter where you are on Long Island, you will be close by. When you get to our offices you’ll find a very warm, comfortable environment and you’ll meet our doctor, Baiju Gohil. Dr. Gohil is a board-certified surgeon and a Fellow of the American College of Surgeons. He has been in practice for more than a decade. He will take you through the process and answer any questions you have about the ARTAS® System. Dr. Gohil will explain that ARTAS® is FDA-cleared and he will help design a treatment plan that fits your needs. When the time comes for your hair transplant procedure using the ARTAS® System, we’ll make things as convenient as possible. No need to go to a hospital, once again, the entire procedure will be done in our easy to find Jericho office. The transplant itself will take several hours, so we’ll recommend that you wear comfortable clothing and should also bring a loose-fitting hat that you can wear home. You will be mildly sedated but awake throughout the procedure, and a local anesthetic will be used. We recommend bringing music or a movie to watch, so you can relax during the procedure. Most patients report little or no pain when they’re done, and the ARTAS® procedure will limit recovery time. You’ll have a convenient ride home and you’ll be back to your normal life in just a couple of days. If you’ve been thinking of doing something about your hair loss, the ARTAS® System, and RHRLI are an unbeatable combination. Our Long Island office couldn’t be more accessible, and you’ll have a healthy head of hair in no time. To schedule your consultation, contact us today. Previous Post: « How Do Facial Hair Transplants Work?